A brand new year means brand new spy technology at Spy Equipment UK! 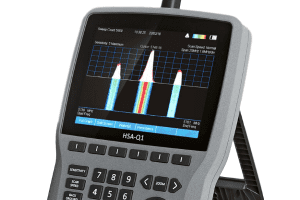 We have added to our counter surveillance with the HSA-Q1 Professional RF Spectrum Analyser for serious professionals involved in Countermeasures (Technical Surveillance Counter Measures ‘sweeps’). Spy Equipment UK are the sole providers of such surveillance devices throughout the UK and we are looking forward to seeing what you think! 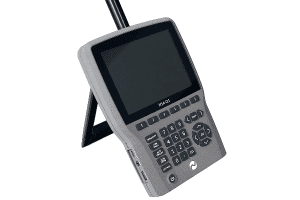 The HSA-Q1 is a highly sophisticated device designed to ensure maximum detection capability although it also prevails in ease of use, courtesy of its user friendly interface. This device’s extended frequency range guarantees that no transmission is overlooked yet other modern surveillance transmitters can fail to pick up information. The HSA-Q1 has the capacity to sweep 0-13.4 GHz in just 0.5 seconds. Exceptionally Intelligent single spectrum analysis. Detects all types of transmitting devices including FM and UHF audio, smartphones, GPS trackers, 3G/4G video, bluetooth, WiFi devices and Burst devices. Extremely high radio frequency sensitivity. Persistent signal identification in areas with noisy radio frequency. Charger included with international adaptors, earphones also included. Comes with protective, heavy-duty military grade case. Bug Detection (Economy Range) – act to counter the threat posed by electronic spy equipment. Specialist Bug Detection – more advanced equipment, required when the threat level of intrusion upon your information is heightened. Telephone Tap Defeat – protect yourself and your family from ‘telephone tapping’. Secure Communications – prevent the breach of your digital mobile network communications and thwart potential on-listeners with our comprehensive range of products. Secure Solutions – General savvy security solutions to use around the home, at your place of work or in the car. Counter surveillance has never been so important than in the 21st century, the dangers to you personally, your belongings and livelihood are ever-evolving. As crime and theft rates rise around us we should be aware of the deterrents and steps that we can implement to help diminish the level of threat. It has never been easier for someone to pick up a device on the free market, with the advances in technology and sheer volume of devices available, and exploit personal information and documents. Find information on the price of the HSA-Q1, details of its full features and watch the demonstration video here. Look out for further developments to our range with the addition of GSM bugs and WIFI cameras expected in the near future. If you would like to discuss your surveillance technology needs for personal or business use, our team of experts are on hand to give you the advice you need to make sure your surveillance needs are met. We supply our products across the UK and abroad, with customers high-recommending us year after year. For more information or to book your appointment at our Coventry office, contact us today and we look forward to welcoming you soon.